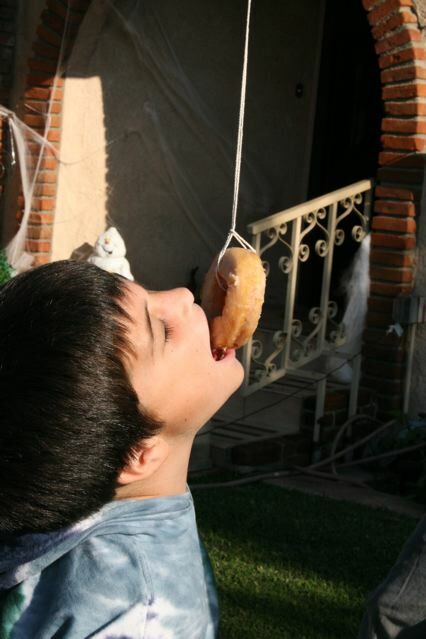 I have always wanted to do the donut activity and this halloween was the right time. 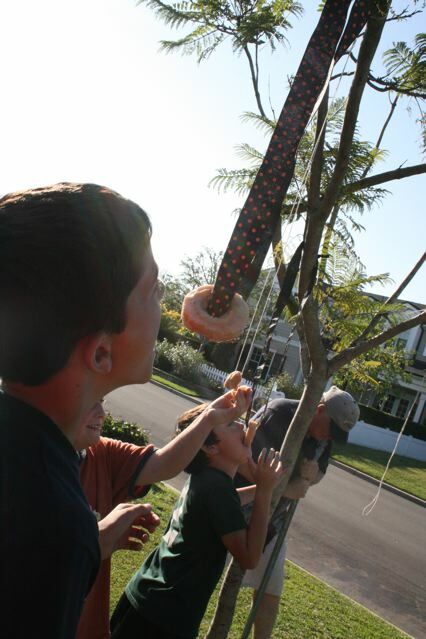 The kids thought it was pretty funny! 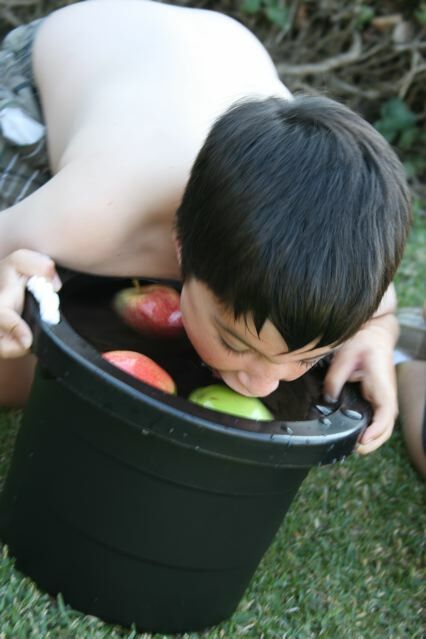 Then I brought out some buckets for a lil apple bobbing fun! 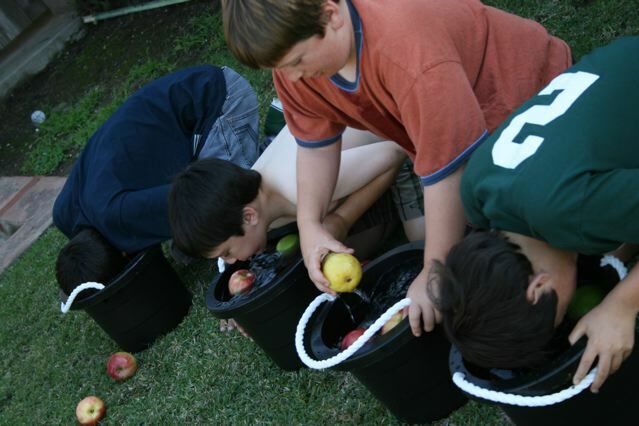 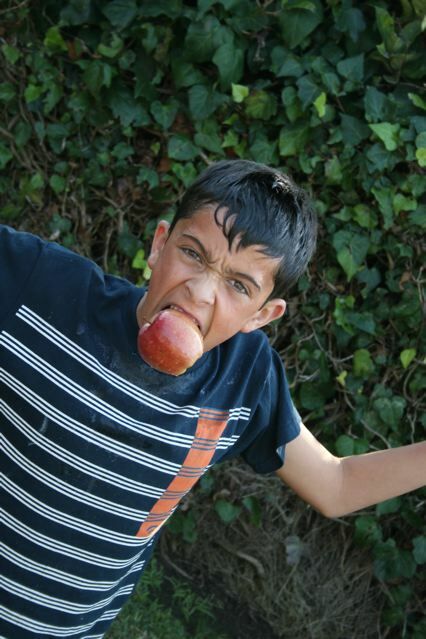 Tony got all the apples out of his bucket first….but I think, with the smiles I saw, they were all winners!